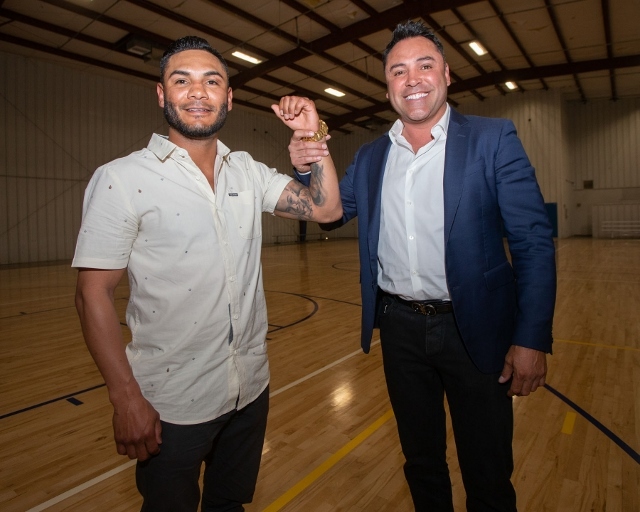 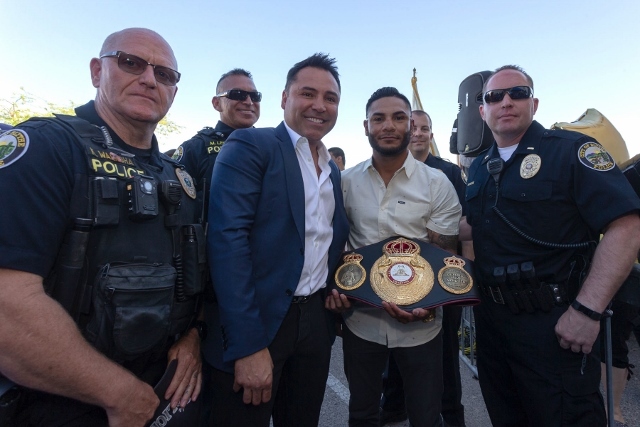 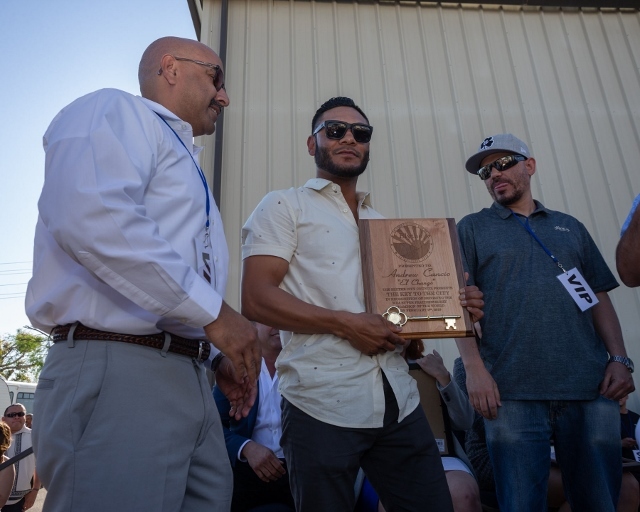 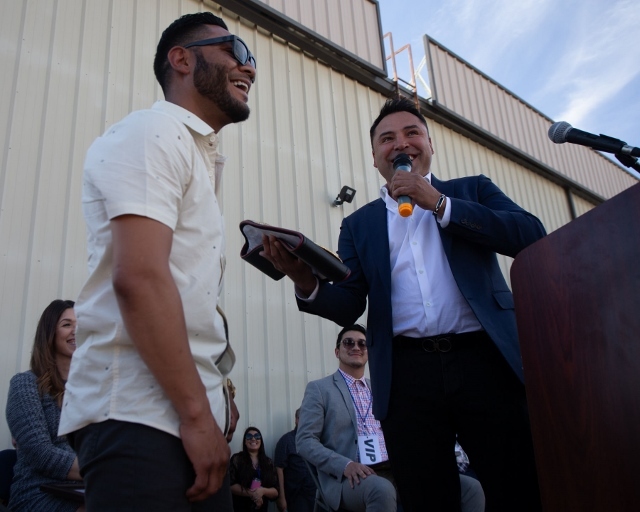 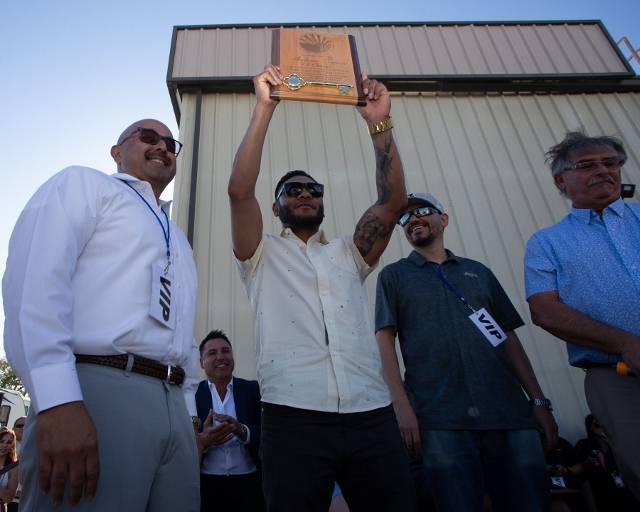 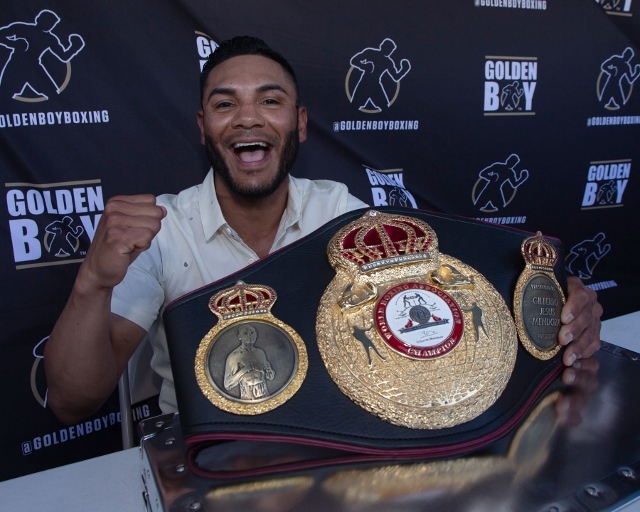 Andrew “El Chango” Cancio (24-4-2, 15 KOs) received the Key to the City today at the Joe Wine Recreation Center in his home city of Blythe, Calif. 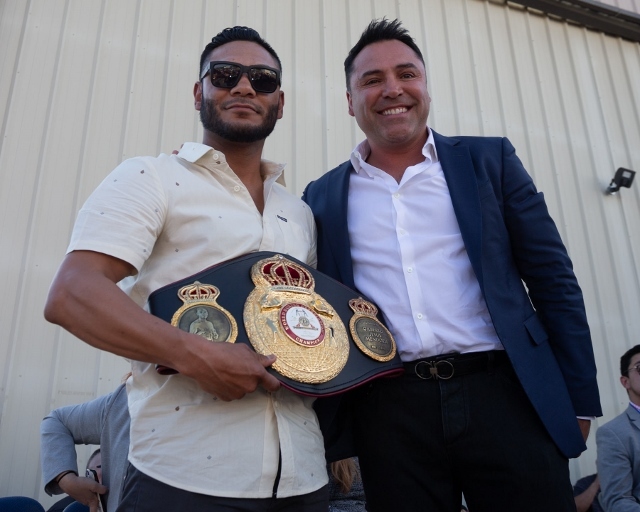 The champion was honored for his world title victory against Puerto Rican knockout artist Alberto “Explosivo” Machado (21-1, 17 KOs) this past February. 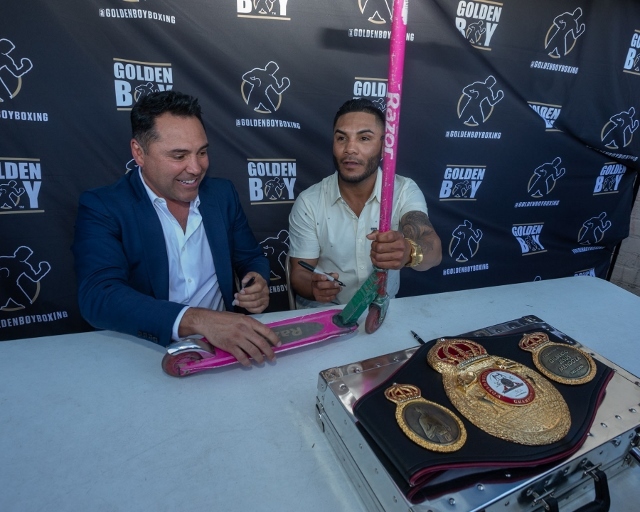 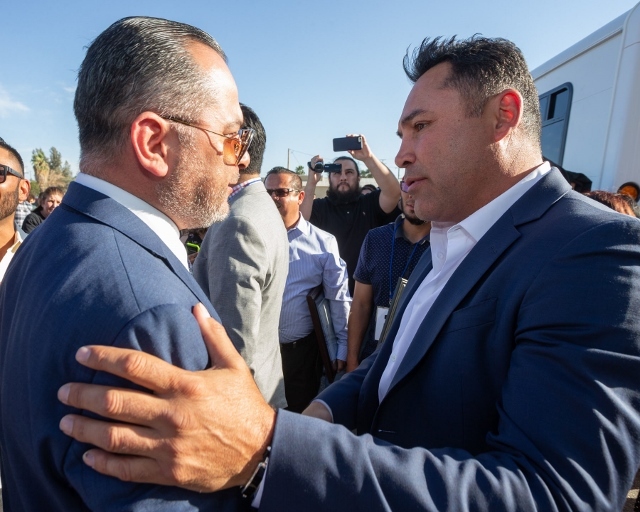 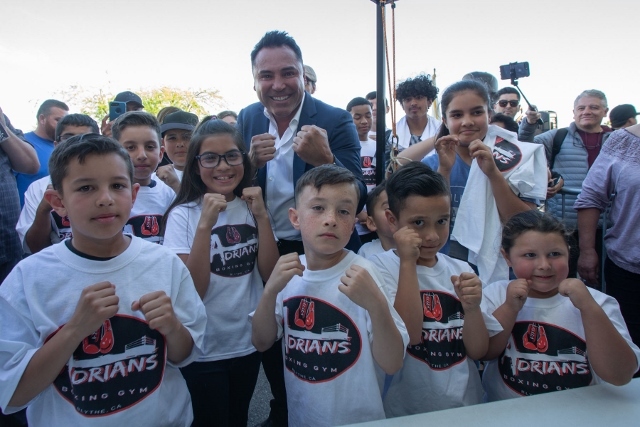 At the same time, Oscar De La Hoya, Chairman and CEO of Golden Boy, presented Cancio with his new WBA Super Featherweight World Title. 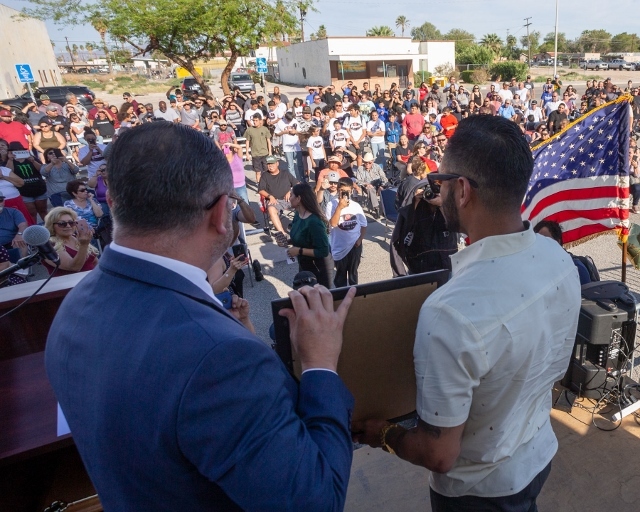 The event was attended by hundreds of Blythe residents, including the Mayor of the city, Dale Reynolds. 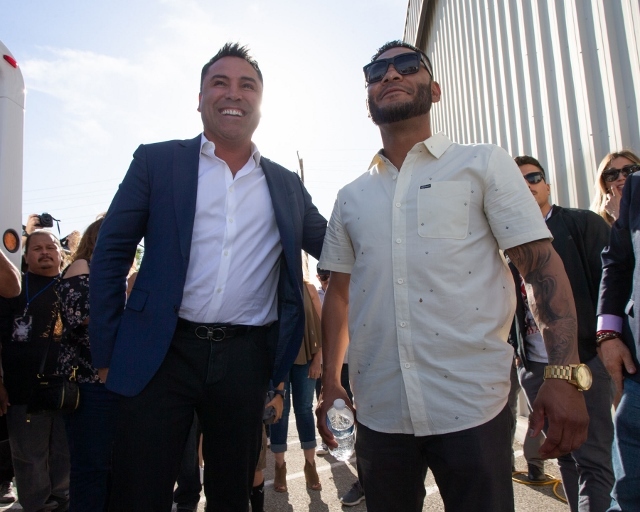 (photos by Brandon Magpantay/HoganPhotos).